In the Golden Gate National Parks you can do it all—bike, windsurf, hike, ride a horse, bird watch, and even get married! Looking for the perfect place to hold an outdoor ceremony? Look to your parks—there’s a spot to match any personality! A month into 2013, some might already be slipping on their New Year’s resolutions. Hopefully, the staff at Crissy Field Center can stay strong on the resolutions they have made. Read on to discover their goals—personal and professional—for the coming year. How can we help make the world a healthier, happier place? The Institute at the Golden Gate believes the answer is: “One piece at a time.” Institute Director Chris Spence shares how his team is pulling the pieces together—and building on strengths—to make a difference. Who Says We Don’t Have Seasons? Working only in wintertime, National Park Service crews and Trails Forever staff have been designing and building new sections of the Hillside Trail in Muir Woods since 2006. This year, 2013, it will be completed. Go behind the scenes as they “fly” one-ton of drain rock for the trail. A year ago, Monterey pines and Monterey cypresses were removed from Hawk Hill in the Marin Headlands to restore endangered mission blue butterfly habitat. How did this affect the birds during fall migration? Muir Woods Earth Day is the longest-running event in the Golden Gate National Parks. It’s also one of the most enjoyable volunteer opportunities of the year. And it’s on January 26, 2013. Find out why we celebrate “Earth Day”—in the middle of winter. Experiencing the outdoors and engaging with electronics need not be mutually exclusive. 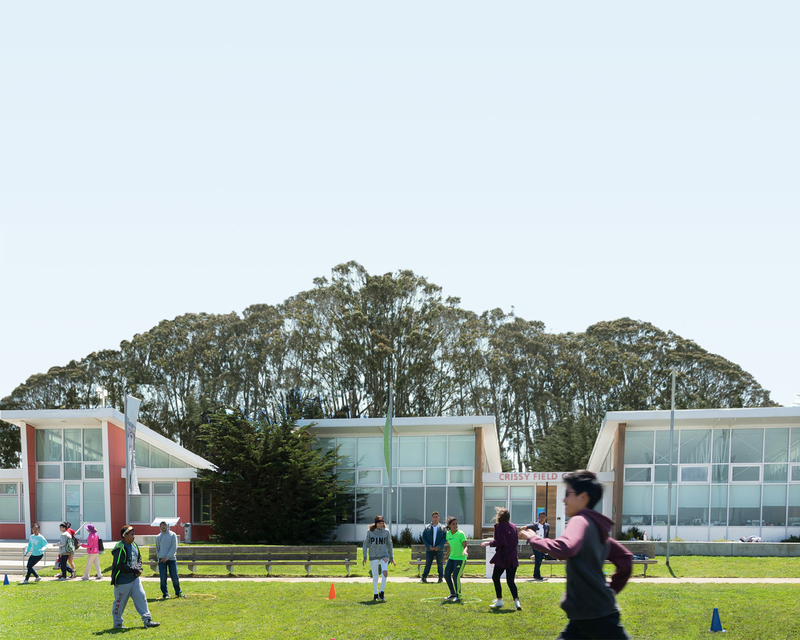 Learn how Crissy Field Center staff—and educators across the country—are harnessing new technologies to connect young people with parks and open space. As we enter 2013, the Institute at the Golden Gate is lining up a series of ground-breaking pilot programs, cutting-edge reports, and innovative partnerships in their core focus areas: public health, food, and climate change. See what we’ve got cooking! This plant, erroneously identified as “holly,” gave Hollywood its name. And its merry berries certainly lend a festive air to the parks during the holiday season. Read on to unmask this mystery plant.